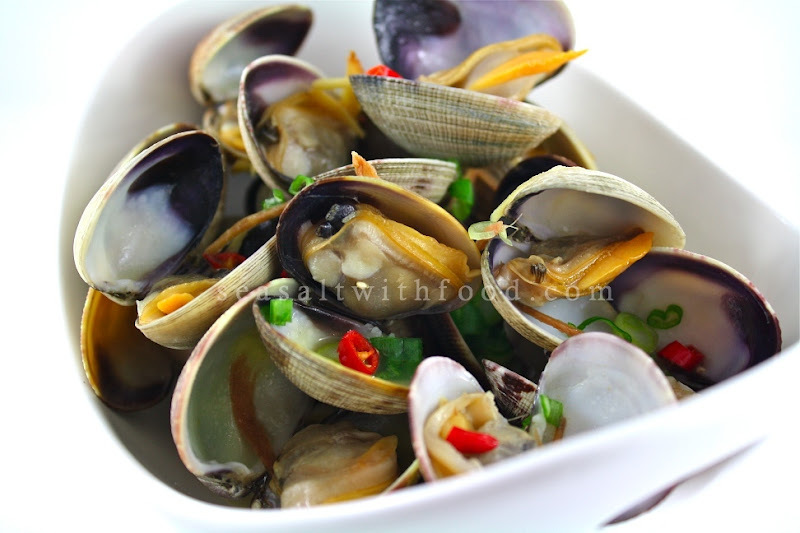 Steamed Clams With Ginger And Rice Wine is one of my favorite seafood dishes. A simple dish that is yummy on it’s own or eaten with some steamed rice. The combination of the wine, fresh clams, and chopped ginger makes this dish so addictive. Try it. In a large wok over high heat, add peanut oil and ginger. Stir briefly until fragrant and toss in the chili and clams. Give it a quick stir and mix in the rice wine. Close the lid and cook until all the clams’ shells are open. Season the clams lightly with sea salt, if desired and top with some chopped scallions. Serve immediately. I like this a lot Angie! Back in Malaysia, we always order this in restaurants! Can I use frozen clams in shells for this one? I can't seem to get much of seafood in Adelaide, I don't know why! 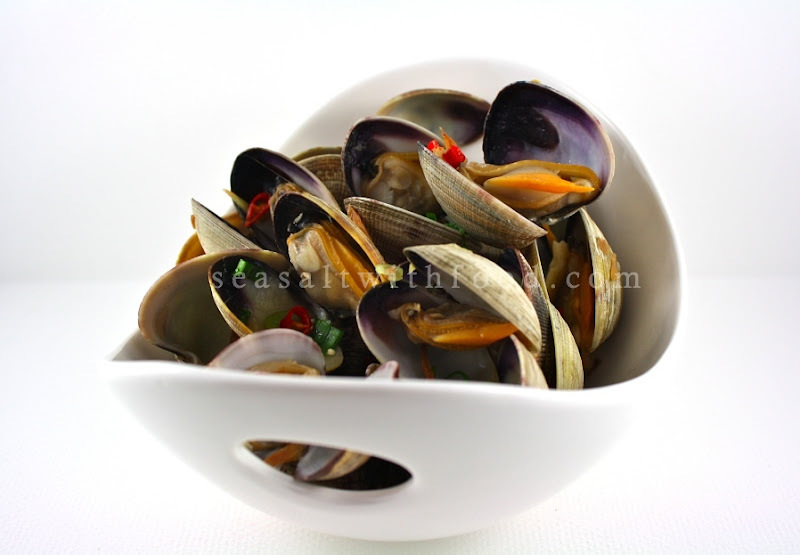 Fabulous looking clams, plump and so clean looking. My husband loves clams. I can't wait to try this! Hi Quinn, I'm sure you use can use frozen clams too. Thanks.